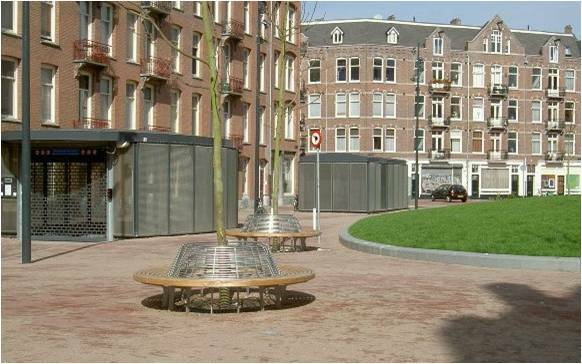 Do you see safety, security and sustainability for car parking in the pictures below? In case you missed something, we’ll help. If you don’t recognize them, the two structures with the mesh doors and siding are the entrance and exit to an underground automated parking system…it doesn’t really matter where, they could be located almost anywhere. There could be dozens or hundreds of cars parked right below the grass and sidewalk. To use the automated parking system: just drive in, complete your transaction with the automatic system, step out of the enclosure and your car is whisked away to a secure, underground parking space. Your car is parked underground safe from weather and dings and dents caused by other drivers since there’s no driving in the underground parking area. Sensors and interlocks in the automated system ensure that you are safe from moving parts or moving cars. Your personal security is the highest priority. 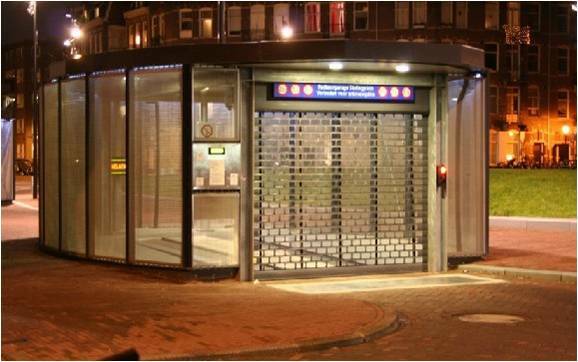 The entrance and exit structures are well lighted, located in an open area and offer no hiding places to thieves or assailants…the same security techniques employed with ATMs. You are always in a high-traffic, high-visibility area whether parking your car or retrieving it. Your car is also secure from theft and vandalism since there is no public access to the cars in the underground parking area. Green grass…how lovely and sustainable. It minimizes storm water runoff. It cleans the air. It soothes the eyes and the mind. It provides a superior lifestyle and hides the cars parked below it. There are no large, ugly structures to obscure sunlight, ruin the scenery or become a heat island. The automated parking system reduces CO2 and other greenhouse gas emissions by eliminating the need to run your car’s engine while searching for a parking space, parking and exiting. 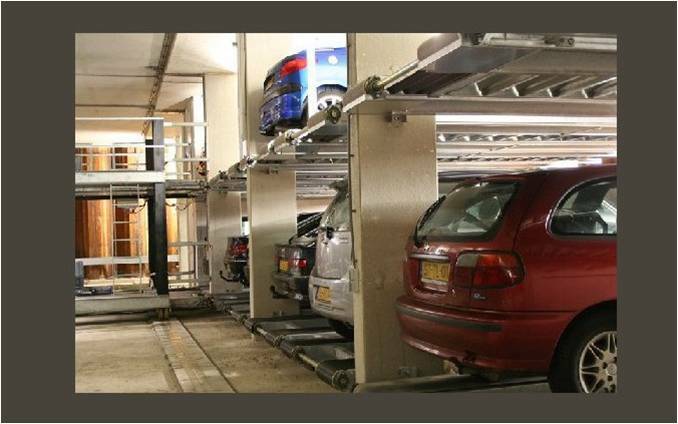 Automated parking systems are significantly less expensive to install underground than are conventional multi-story parking garages. And, the O&M costs are also substantially lower...saving money and resources and helping the planet. Learn more about the picture perfect parking afforded by automated parking systems from your Skyline Parking Representative.